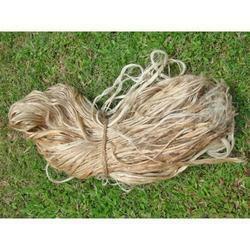 Jute Fibers Latest Price, Manufacturers, Suppliers & Wholesalers in India. Enriched by our vast industrial experience in this business, we are involved in offering an enormous quality range of Raw Flax Fiber. We are a leading supplier of Jute Fiber. Jute is one of the most affordable natural fibers and is second only to cotton in amount produced and variety of uses of vegetable fibers. 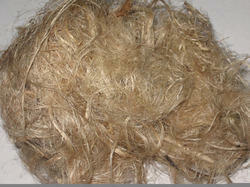 Jute fibers are composed primarily of the plant materials cellulose and lignin. - Adds style to your packaging. - Unique interlocking and expanding qualities help cushion and showcase your products. We are a reputed entity, engaged in manufacturing a qualitative array of Jute Fiber. Techno Jute Products Pvt. Ltd.
Jute is a long, soft, shiny plant fiber that can be spun into coarse, strong threads. It is produced from plants in the genus Corchorus. Jute is one of the cheapest natural fibres, and is second only to cotton in amount produced and variety of uses. Jute fibres are composed primarily of the plant materials cellulose and lignin. The fibres in jute are uneven in diameter and are highly resistant to stretching but individually brittle - so they develop microscopic fractures during the weaving process. These two factors give jute its natural slightly rough appearance.